Storm resistant windows (also known as impact resistant windows) have actually been around a long time. In fact, you needn’t look any further than your car. The auto industry has been using the technique of laminating glass to keep windshields intact during high impact accidents for years. This same concept applies to your home. While no window is completely hurricane proof, impact resistant windows can better withstand the high winds and flying debris associated with such storms. Heavy duty frames are used in most storm resistant windows to help keep the home from collapsing during the worst of weather. With typical windows, the glass could break or the frame may collapse, thus allowing high winds into the house. Because the inside pressure is different that the outside pressure, this situation could cause the roof or walls to collapse. Impact resistant windows combined with their sturdy frames work to prevent this from happening by keeping the wind out. 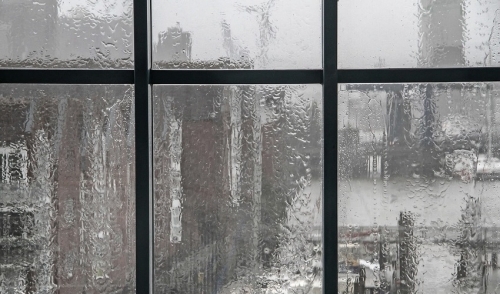 The most common type of storm resistant windows are the “inner membrane” type. They contain a layer of PVB (polyvinyl butyral) between two sheets of glass. Some types utilize a liquid resin laminate layer poured between the glass sheets instead. During a significant impact, the glass may shatter, but the inner layer will keep everything intact, as will the sturdy frame. Some manufactures also provide the option of a shatter resistant film on the outside of the glass to further reduce the chance of your window shattering. Most storm resistant windows with a PVB inner membrane can withstand winds up to 200mph. They look like regular windows and won’t affect the visual appeal of your home. Many styles and sizes are available to choose from. Unlike using hurricane shutters or boarding up your windows before a storm, storm resistant windows are installed and always ready. Their protection is 24/7 with no further effort needed by the homeowner. They are energy efficient, and provide UV protection as well as sound dampening advantages. Some insurance companies offer significant discounts for homeowners that use storm resistant windows. They also add protection against break-ins, 24/7. If a burglar can’t easily break the window, he most likely won’t stick around and keep trying. Keep in mind that though storm resistant windows may be more costly than typical windows, the peace of mind, insurance discounts, and energy savings can go a long way in making them a worthwhile option. If storm protection is your main concern, they may be an even more attractive choice when compared to the expense and hassle of storm shutters or electric roll-down panels. If your home is in an area prone to bad storms, consider this: Storm resistant windows are always installed. If you are out of town and severe weather is approaching your home, you are covered.